Holiday dinners with my family almost always include red radishes, but my dad is the only one who ever eats them. He salts the heck out of them and pops ’em like grapes. 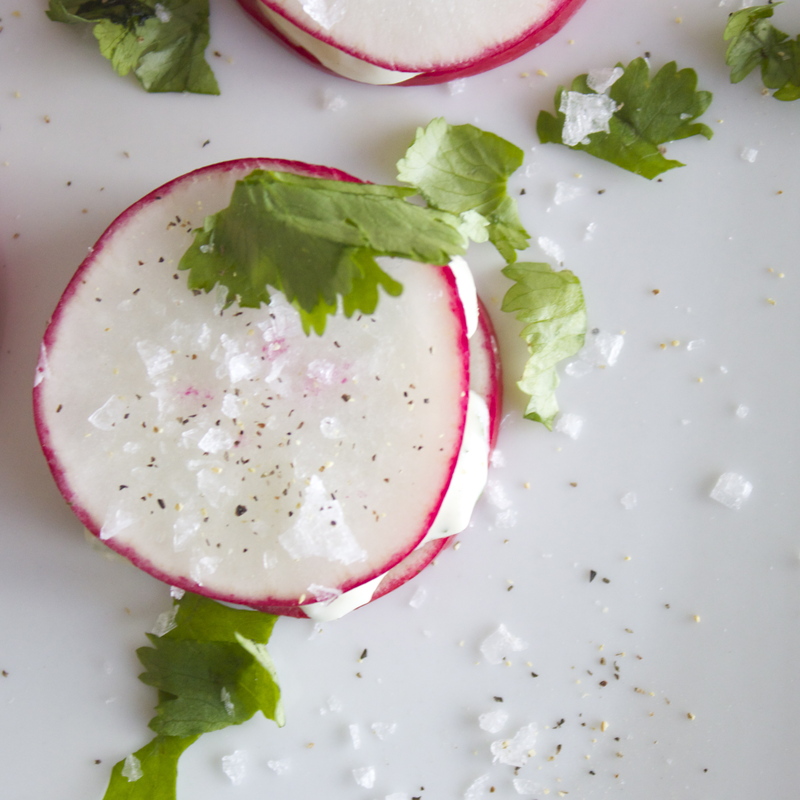 Red radishes were also always present on my Grandma’s veggie trays, but those appeared at almost every dinner she served—she was an amazing cook so every meal felt like a holiday. So, radishes have always been around, but I never liked them. Or, I should say, I never gave them a fair shot…they were among the massive list of foods I was too picky to eat when I was a kid, and it’s one of the few I refused to give in on as an adult. Until, that is, I made this Avocado Toast with Watermelon Radish last month. 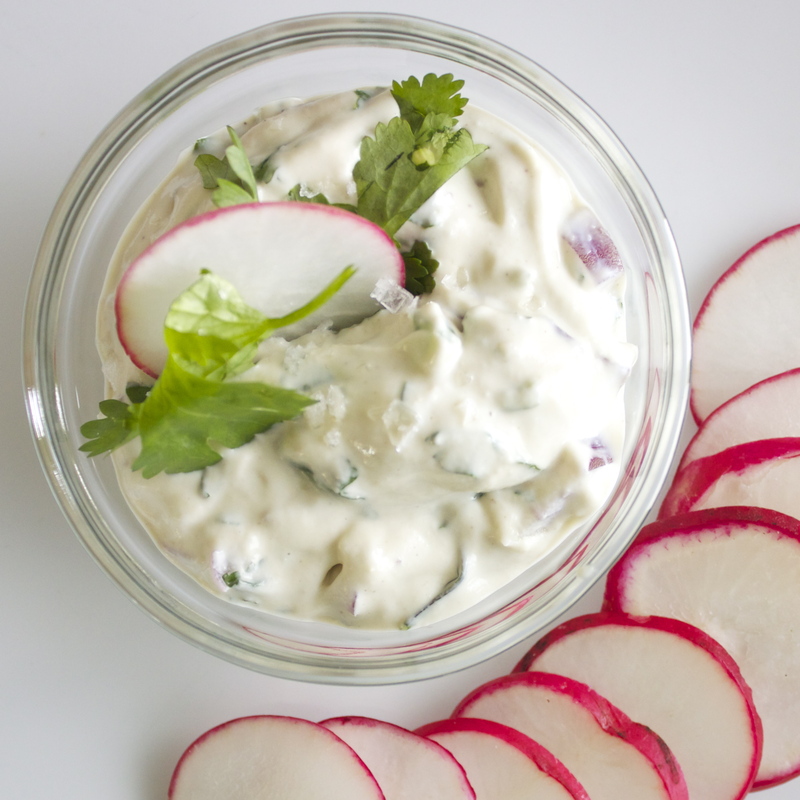 For this recipe, I made a cashew cream that incorporates some jalapeno heat and slathered it between slices of radishes. This is a really easy, popable appetizer that will look great in a holiday spread: red, white, AND green?! Couldn’t have planned that better if I’d tried! Soak cashews in water for at least 1 hour. Drain. 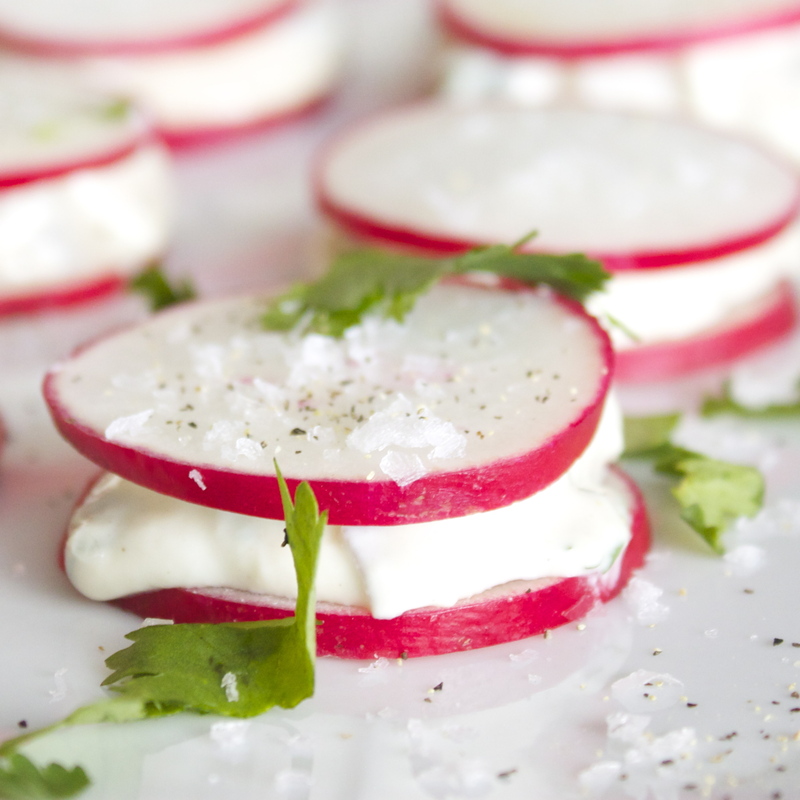 Use a knife to spread a small amount of cashew cream on half of the radish slices, then top with remaining half.